In a press statement, signed by the Plateau State Governor's Director of Press and Public Affairs, Governor Simon Lalong has sacked the management committee chairmen of the 17 local government areas of the state. 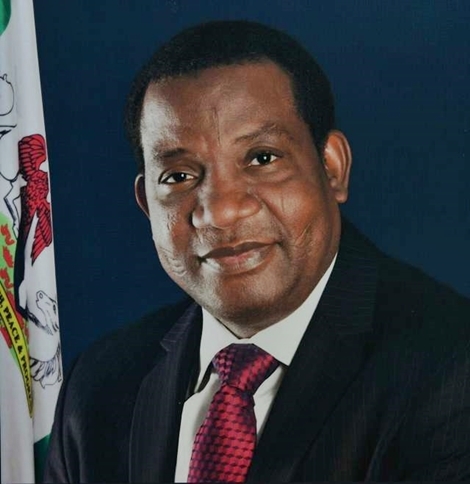 Governor Simon Lalong of Plateau State has sacked the management committee chairmen of the 17 local government areas of the state after a midnight meeting that lasted for several hours. The Daily Sun reported that the dissolution of the management committee chairmen was against the wish of the state chairman of the All Progressive Congress (APC), Mr. Latep Dabang, who begged for the extension of tenure of the council chairmen. But members of the State House of Assembly, led by the Speaker, Hon. Peter Azi, during the meeting, insisted that the council chairmen, whose tenure expired, on Wednesday night, must vacates their seats. Governor Lalong, in a press statement, signed by his Director of Press and Public Affairs, Emmanuel Nanle, directed the chairmen to hand over to Directors of Personnel Management pending further actions in line with the provision of law. “The Executive Governor of Plateau State, Rt. Hon. Simon Bako Lalong has approved the dissolution of the existing Local Government Transition Committees with effect from Thursday the 29th of June, 2017. It will be recalled that Governor Lalong, had in 2016 sacked elected Local Government Chairmen and in exercise of his Powers under the Edict providing for the establishment and administration of the Local Government Councils 2005 as Amended, subject to the ratification of the House of Assembly constituted Management Committees whose tenure expired by effluxion of time on the 28th of June, 2017.